Although, the court imposed penalties for possessing marijuana may be minor, the collateral consequences of a drug conviction on your record can be costly. Nicholas Klingensmith, a former prosecutor, understands these consequences and can help. Contact Nicholas today at 513-258-2377. Although relatively minor in the eyes of the law, a drug conviction can cost you your job, or financial aid if you are in College. Do not just plead guilty or pay the ticket. There are ways to keep a drug conviction off of your record and save your job, financial aid, or your reputation. Many courts and prosecutors are willing to work with a person to keep a drug conviction off of your record. PLEAS: Many prosecutors are willing to amend the charge to something other than possession of marijuana, such as disorderly conduct. This will allow you to check “no” when answering questions about previous drug convictions. DIVERSION: Some courts have set up specialized programs to help first time offenders keep convictions off of their records. WIN AT TRIAL: Just because you were charged does not mean you are guilty. The state must prove all of the elements of the offense beyond a reasonable doubt before a court will find you guilty. EXPUNGEMENT: Even if you are convicted, there are ways to remove it from your record. Typically all minor misdemeanors are eligible for expungement, no matter how many offenses you have on your record. MORE OPTIONS: Every court and jurisdiction is different and offer different options for those charged with a marijuana related offense. 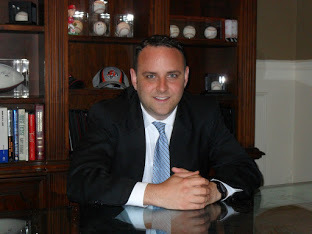 Nicholas Klingensmith offers payment plans and free consultations. Contact an Experienced Lawyer Today, Call Nicholas Klingensmith at 513-258-2377.